Liver Dysfunction Due To Toxicity. In the 21st century, I think it would be fair to say that liver dysfunction is pandemic. It is extremely rare to find a person whose liver is not suffering from some toxicity and that, I'm afraid to say, is entirely down the way that we live these days. But to understand how liver damage symptoms can rear their heads in every day conditions such as eczema and migraine, I think that it is worth just asking what does the liver do? Once you understand it's functions it is easier to see how things start to go wrong. Liver cells detoxify certain substances. Liver cells secrete about a pint of bile a day. Liver cells carry on numerous important steps of metabolism of three kinds of foods, proteins fats and carbohydrates. Storage of substances such as iron and some vitamins. Production of important plasma proteins. Plasma proteins are crucially important substances. Some are blood clotting mechanics, others function as essential components of the immune system - they circulate antibodies. All plasma proteins contribute to the maintenance of normal blood viscocity, blood osmotic pressure and blood volume. They therefore have an essential part in maintaining normal circulation. A decrease in the concentration of plasma proteins can produce oedema, This may occur as a result of of increased capillary permeablity caused by infection, burns or shock. It produces thyroxin. Firsty, there are many kinds of poisonous substances that can enter the blood from the intestines. They circulate to the liver through a series of chemical reactions they may be changed to non toxic compounds. All sorts of substances that we ingest, for example alcohol, various drugs and toxic substances which have been formed in the intestine, can be detoxified in the liver. The liver can only detoxify what the human mechanism has evolved to detoxify. The 20th century has moved so fast that systems havent had a chance to evolve into the poisonous environment in which we live. Plasma proteins are crucially important substances. 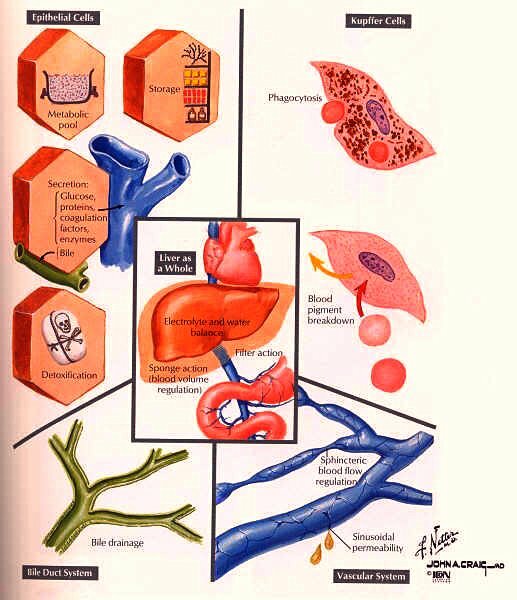 Some are blood clotting mechanics, others function as essential components of the immunity mechanism - circulating antibodies. Factors in your life that may cause liver dysfunction. 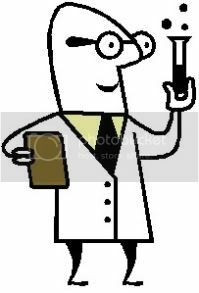 *I always feel it necessary to ascertain if my patient was jaundiced at birth. It's not considered that important in allopathic medicine (the doctors usual medicine), but in complemantary medicine we have found this symptom is often very closely connected to many conditions such as eczema and psoriasis. That of course would indicate that if as a child you started started off with an dysfunctional organ then you may possibly be more susceptible to some diseases. * Your job - Is it stressful and very importantly have you dealt with any chemicals in your work? If you have used them or even breathed them in they could easily be lodged in you liver and have been deposited in the tissues and are causing symptoms which seem unrelated. * Where you live - same reason - environmental pollution, especially petrochemicals are becoming an important problem. * Your childhood - if you cannot remember it well it may be athat you have buried some kind of trauma. Sometime as a therapist it is also observe that a patient can sometime have a kind of pedestal attachment to a relation, this can also be a clue that there may be some kind of trauma that is hiding beneath the surface. * Your frustrations, perhaps you a feeling a gritting pain of getting nowhere in a job or marriage, Perhaps you regret that you did not pursue more education. Or wanderlust, that you feel that you hate that you cannot just get up and go off and see the world, or even just move house - Any of these can point to a dysfunction. Things that may affect the liver and could lead to liver damage symptoms showing are alcohol, antibiotics, smoking and some drugs. Stress eats up vitamin C.
B complex needs vitamin C to absorb into the body. Stress, drugs, alcohol amd smoking all dysfunction the liver. The liver metabolises proteins - if there is no vitamin B then protein is not absorbed. If the liver cannot function then certain amino acids are not absorbed. If the liver cannot function then it cannot do many, if any. of its 500 liver functions properly. Then of course, ill health will follow. Indicators that could give you clues of liver damage symptoms would be frequent migraines, swollen body, especially before periods and right leg only, eye problems, or bruising too easly.